there have been a few changes to the glymm subscription this month. first, glymm announced a re-branding initiative. the logo is now black and gold… no more pink and white. 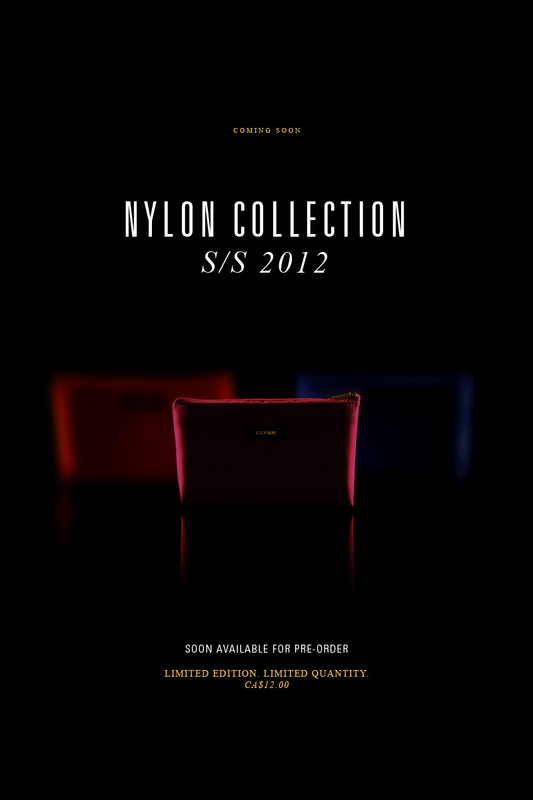 then we were sent a sleek preview ad (above) for a limited edition s/s 2012 nylon collection. then the subscription price increased to $12 per month. there was not a lot of explanation as to what was going on – but i was glad i stayed subscribed because i wanted to see how the changes would impact my monthly box. here is my video unboxing, which contains a description of the changes along with my reaction. i am oddly excited to try these samples. 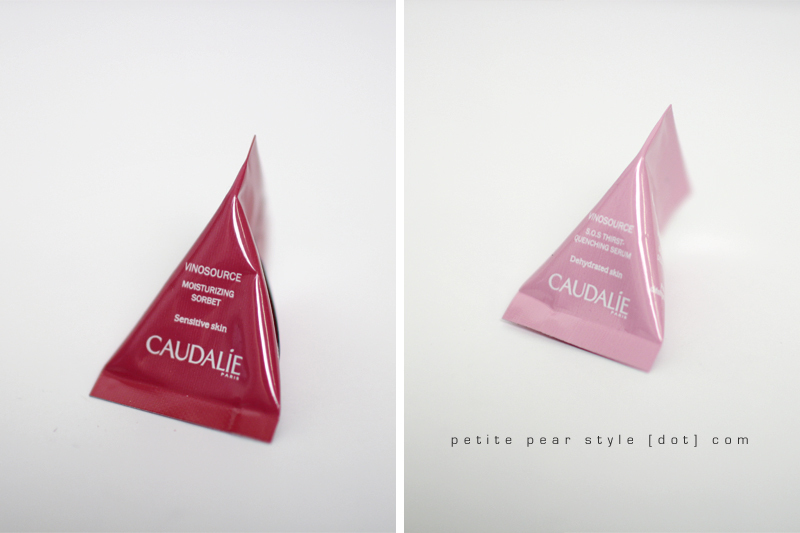 the samples are teeny tiny but the packaging is so cute. the shape reminds me of those freezie pop treats from when i was little girl - can't for the life of me remember what they were called. i’ve seen cargo eye shadows sampled in previous beauty boxes but i’ve never received one myself so i am happy i received this product. i am usually not a fan of shimmery shadows but i’ve been trying to experiment with new looks so i will definitely try this product. the colours in the duo included a shimmery charcoal colour (i kept looking at it in the video because it seemed to pull a little blue) and a shimmery pink colour. 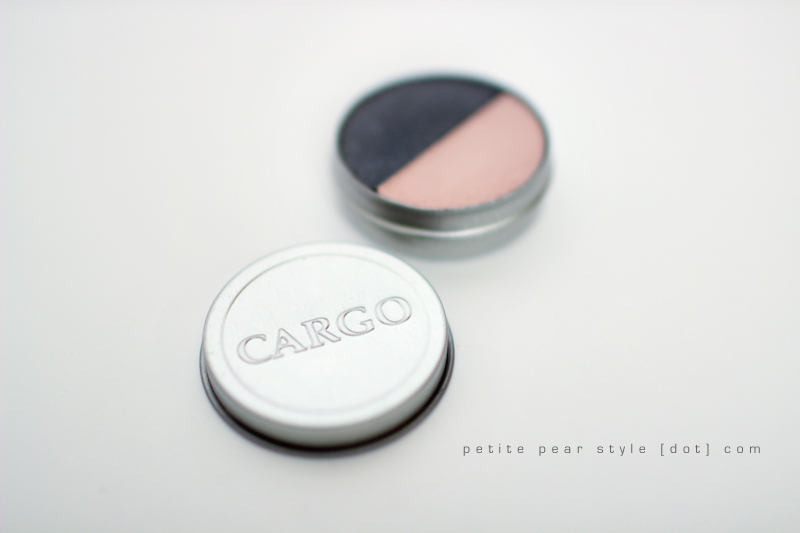 the odd thing about the cargo samples is that I can never find the actual product or shade on the website. for example, I couldn’t find the eye liner from my january glymm box and I couldn’t find the eye shadow duo in vienna from this month’s glymm box (I did notice that all eye shadow duos are marked down on the cargo website to $6). hmmm, this makes me feel like i’m getting the company’s sell-off or discontinued items. if you watched my unboxing video, you will probably notice that i was unusually excited about this product. i went to a seminar recently on actinic keratosis, which basically manifests as pre-cancerous lesions on the skin, and it freaked me out. i’ve been looking for a good sunscreen but there is so much confusing information on the web that it has been hard for me to decide. i’m currently using the la roche-posay anthelios sensitive skin melt-in cream with spf 45.
one of my youtube viewers posted a very helpful comment in response to my video about physical (mineral) sun blocks versus chemical sun blocks. with that golden nugget of information, i’ve been able to focus my research and i think i will go the mineral sun block route. thank you d3roth1! here is a link to an article explaining the difference if you wish to read more. impressions: my favourite part about this sample? 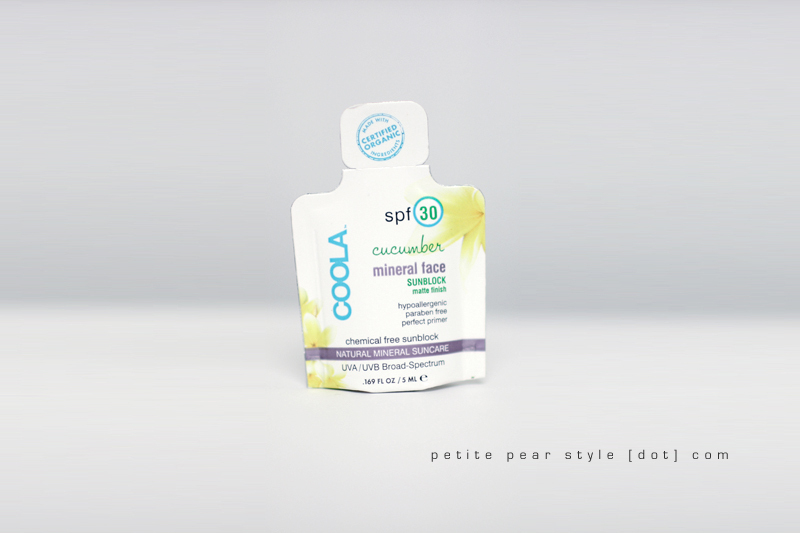 true to its claim, the sun block is matte! i find most sunscreens leave a greasy texture when applied so i am very partial to the smooth and non-greasy texture of this sun block. however, because the main ingredients are titanium dioxide and zinc oxide (both minerals), it did leave a white cast on my face – i had to rub it in / blend it out a lot so that left me questioning whether i had a thick enough layer to actually offer the advertised sun protection factor of 30.
wow, why are anti-ageing products so expensive?! the first ingredient in this product is water but it retails for $70 for 15 mL (the glymm card shows $33 but that is a price error). now that I’m a little older, i am more interested in trying anti-ageing products; however, i am very sceptical when it comes to beauty product claims so i would be reluctant to pay full price for products that promise you the world. that’s why i'm glad to receive them in my subscription boxes so i can still try the product without paying a hefty price. i seem to be receiving a lot of hair conditioners in my beauty boxes… but i’ve been putting them to good use so i’m not overly concerned about it. 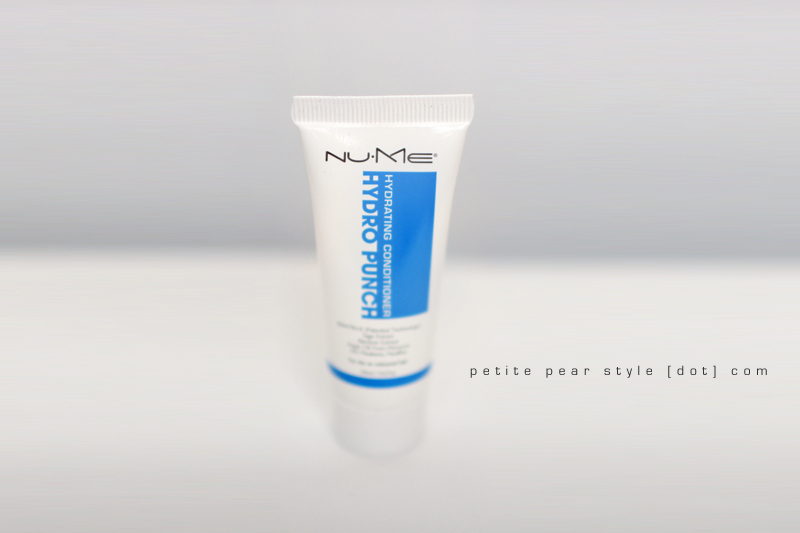 the nume conditioner has a very strong fragrance – i wasn’t really sure what to make of it. i couldn't find anything about this product online... the glymm card indicates that it's an exclusive product launch... hooray, that means we subscribers are among the first to try it. impressions: the conditioner was very light in terms of weight and texture - which i like - but i had to use a lot to cover my hair… probably close to half the bottle. the glymm card mentions that the sample contains up to 4 uses but i will probably only get 2 uses out of it. that being said, i really like this conditioner. it made my hair silky and soft. there is a very strong scent – i didn’t fancy it on the first day but with second day hair, it is just right. these little spritzer bottles are a step up from the tiny vials but i still prefer a pretty mini perfume bottle when i receive fragrance samples. my hubby wasn't overly excited about the fragrance but that's because he has a massive collection. still i think he liked that he got a little something from my glymm box. 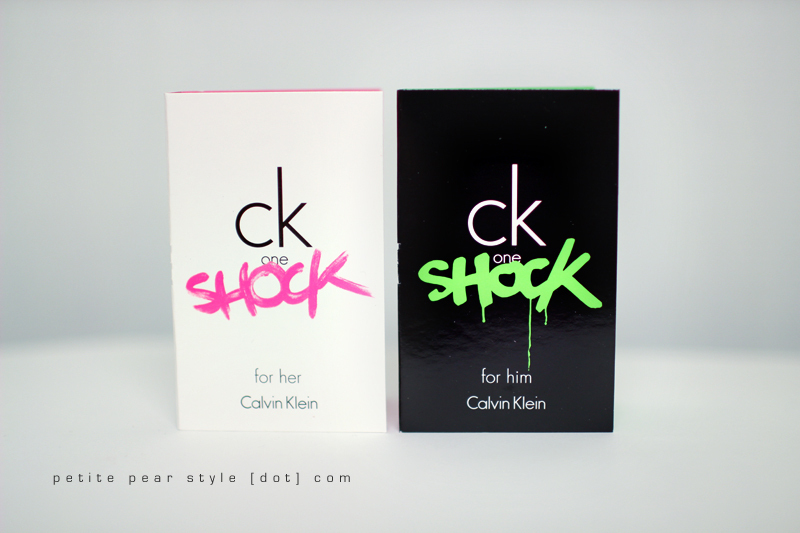 impressions: i wore the for her fragrance on my right wrist and the for him fragrance on my left wrist yesterday. these fragrances are super long lasting – they stayed put for my full work day and i could still smell both fragrances when i was eating dinner. while i enjoy both fragrances (i like the for her more though), i prefer the ysl parisienne i received in my december glymm box and the atelier cologne in orange sanguine i received in my april glymm box. overall, i am happy with the changes to the glymm subscription. while the price has increased to $12 per month, current subscribers are grandfathered at the lower price of $10 per month. even though it’s only $2 per month, this is definitely incentive for me to stay subscribed! new subscribers can benefit from the lower price by purchasing a 1 year subscription. i don't mind the move away from the pretty pink box. i prefer the makeup bags because i was running out of room to store the boxes – adding two storage boxes per month (from glymm and glossybox) takes up quite a bit of space. i also like the redesign of the glymm card. there is more information and i like that glymm included an estimate of how many uses you *should* get from the samples. one thing i like about glymm is that the boxes are always full of surprises. although glymm provides its fair share of repeat brands, i am not familiar with many of the brands sampled, which opens my eyes to the beauty world. i also like that glymm provides me with samples of products that i would not have purchased myself. for the most part, the sample sizes have been reasonable in size. i like to be able to get 3-4 uses out of each sample at a minimum – while full size products are wonderful, they are not a must-have for me. i realize that people value different aspects of a beauty box subscription so you can’t please everyone but i was happy enough with the may glymm bag that i have decided that i am going to stay subscribed for a little while longer. from the sleek preview ad of the nylon collection, i am speculating we will receive three different coloured nylon bags for the months of june, july, and august. after that, i have a feeling things may change again. but really, who knows! like i said, glymm is always full of surprises. are you subscribed to glymm? what did you think of the changes to the glymm subscription? 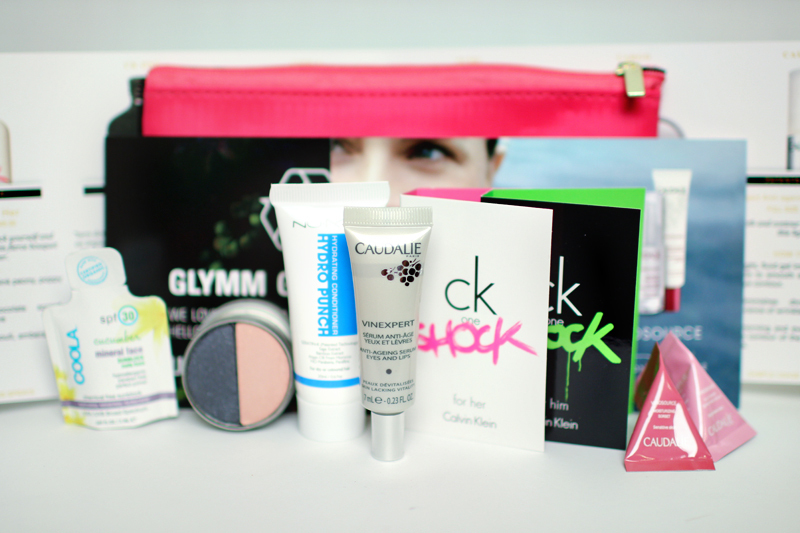 I love my glymm bag this month. 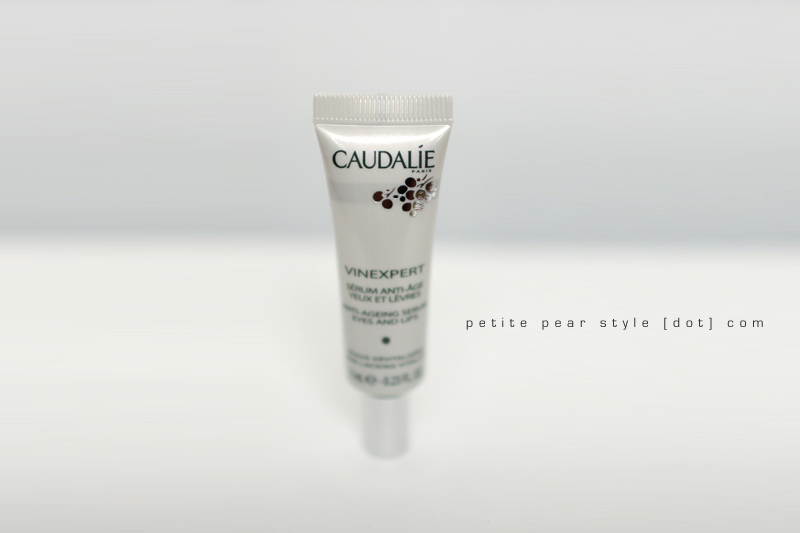 It is actually my first subscription, but with the products I received, I found them they are amazing to sample out. thank you!!! :) i am really enjoying the samples as well. i am waiting for my glossybox... and i am going to watch for the luxe box unboxings!!! You always have great reviews for the products! I am in love with the bags as, like you - I was starting to run out of room for the boxes - I put stuff in bags all the time, and was in need of one! Im wearing the Cargo eyeshadow today and so far so good - It goes on very lightly, thankfully I am wearing iprimer , so I think it'll help! I had a three month gift subscription but I didn't renew. I would just want a subscription to get the cute nylon bags. What I liked when I received my first box in December was the candy they included...and then I never saw it again.